A West Plains man has been charged with 1st degree murder after authorities say he admitted to dismembering a 35-year woman and, eventually, leading detectives to her body. Walter Stewart, 63, was arrested Monday afternoon and has been charged with 1st degree murder, 2 counts of armed criminal action, and abandonment of a corpse. Photo courtesy of Ozark Radio Network. Court documents allege that West Plains Police Department was contacted August 9 about a missing woman who hadn’t been in contact with her family since July 20. A report was made, and the woman, who was not identified in the probable cause statement, was entered as a missing person into a national database. Police say they then spoke with Stewart, who told officers that he and the victim were living together and had been fighting, and that he believed she was talking to another man from the Memphis area. Stewart reportedly told police that around July 20, he had left their home to go to the store, and returned home to find her gone, and he hadn’t seen her since then. Stewart was interviewed again August 15 at his home. Officers say when they visited Stewart, they noticed an odor consistent with decomposition, and found a blood stain on the floor of the home. Stewart was brought in and questioned at the police department, according to court documents. During an interview at the police department, Stewart allegedly admitted to stabbing the victim several times one night, and after killing her, he reportedly moved her to a bathroom in the home, where he allowed her to bleed out in a bathtub, which he filled and drained several times over the course of two days. Court documents say Stewart then admitted to dismembering the body and hiding portions of the woman’s remains in a nearby wooded area and in a nearby pond. Stewart then led police to the locations where the victim’s body was found, according to the probable cause statement. 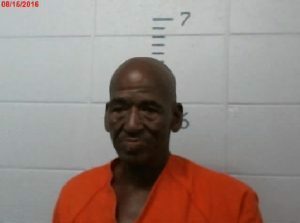 Stewart is being held without bond at the Howell County Jail. West Plains Police Department Public Information Officer Ron Redfield says that an autopsy has been scheduled for August 17. Under Missouri law, if convicted of 1st degree murder, the sentence would be the death penalty or life in prison without parole.